As a blogger, I'm afforded the opportunity to sample and review an endless list of beauty products. Some make their rounds in my make-up bag while others hang out on the shelf before heading to the dreaded "beauty heaven". My "beauty heaven" is a shelf in my hall closet filled with goodies I've never really liked, hated and just felt bad about tossing... Then there my favorites that I've madly fallen in love with. Huge Lips Skinny Hips... Bet you were skeptical about this one! Now don't go cancelling gym memberships or firing your uber chic trainer but it's sooo worth the small fortune ($26) you'll spend to curb your appetite and get you into your favorite pair of skinny jeans. 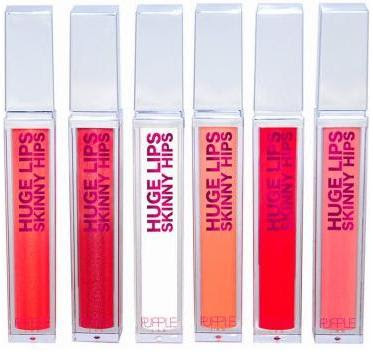 My favorite, Kitty Pole Dancer leaves my lips with a hint of color and a lovely gloss. Not too sticky and it resist fading. The best part.... It contains Hoodia (a natural appetite suppressant extracted from cactus-like plants in South Africa and Nambia) . Hoodia works by mimicking the effects of glucose on the brain, tricking it into thinking you've just eaten. And yes... It works!! So go ahead... Pucker Up, your hips will thank you! I adore a Spa Day... Especially in the comfort of my own home!! Each and every Thursday night (now since RHOA is on) I pretend to scare my kids with my "monster face".. LOL!! Little do they know their "play time" is actually "beauty time" for mommy. After a stressful week, my skin is longing for the comforts of a seaweed mask and Cures by Avance Nourishing Mask is my all-time favorite!!! It's so light, doesn't crack like the other brands and wipes off really easily with minimal effort. A night with Cures by Avance will leave you with silky soft skin... Promise You! And last but not least.... The secret to my bright eyes!! 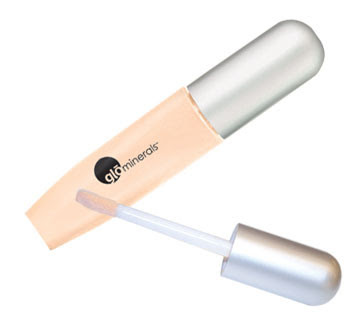 gloEye revitalize is a morning must have. Let's face it who really gets 8 hours a night?? Between work, kids, Facebook & Twitter and this neat lil' thing called blogging I barely get in 5 hours of beauty sleep a night. No worries... gloEye revitalize is my morning BFF!! I've tried the cucumber treatments (yeah whole slices), fancy eye creams, serums, gel packs and tons of concealer. Let's face it, beauty is all about the eyes. Be it a smokey look for evening or a playful shimmer for day. Any way you slice it fine lines and under eye circles are a definite beauty no-no!!! GloEye Revitalize is the next best thing to a triple espresso and I'm totally smitten!! I give this lil' baby and whirl prior to applying my MAC Studiofix with concealer and immediately notice how the sheer cream tone magically blends into my skin. My eyes appear brighter and my fine lines seemed to diminish instantly. Great post! I will have to try out these products!